Rosie is still in charge of the woman welders in the shipyard. Their novelty has yet to wear off but slowly over time others are starting to notice the part these women are playing in the Second World War. Rosie though has secrets outside of the shipyard and with these to protect, falling in love with a policeman is not going to help her circumstances or her heart one bit. Hannah is one of the weaker members of Rosie’s team and she joined the war effort because she wanted to do something that was going to punish Hitler for what he had done to her homeland. Whilst she may not have the strength for the welding, she has other unknown skills and whilst the others have been covering for her for so long, something now has to change, before she loses her job. Polly is using her work in the shipyard to escape the fact that her brother has died fighting. The return of her other brother wounded and no longer fit for service is making for a very tense atmosphere at an already crowded home. Coupled with this is the worry that her man, Tommy has now left the shipyard to do his bit in the Navy. Bel, Polly’s sister-in-law and childhood friend is struggling to cope with the death of her husband Teddy, trying to bring up a small child and the reappearance of Teddy’s twin brother Joe does nothing to calm her. As time goes on, can she cope with a constant reminder of her past, especially when her mother Pearl turns up out of the blue. Gloria is hiding a secret, not just the fact that she is pregnant and the owners of the shipyard have yet to make that discovery but also that her husband Vinnie, has reappeared and thinks he can start again and that of course this time he will be different. Gloria finds some strength, and she is going to need it when the baby decides it is going to be born where and when it wants to be. Dorothy and Angie are girls who just want some fun and a good man on their arm, they work hard but they play hard to and despite coming from different backgrounds to the others they fit into the team nicely. Martha is mysterious, she is the strongest and biggest of the team and hardly speaks, although her sense of humour is just starting to come through just when they all need it. Whilst not all of these characters feature prominently in the storyline of this second novel in the series, they are still fully rounded characters. The story follows on from the first novel in the series, it is 1941 and the war is making itself very well-known in the town of Sunderland where the shipyard is based. Of course the war is the background to the story but it is what is happening with these women which kept me hooked and reading voraciously. When I picked this book up to read I did not realise that I was picking up the second (don’t you just hate it when that happens!) and whilst I started reading it, I felt like I was missing out on something. So I stopped reading and went to buy the first one, which I flew through and then quite happily picked this one back up with all those missing feelings now gone. Don’t think you will have to read the first, it does give you enough background to enjoy the story straight away without simply regurgitating the first book. However I felt I was not quite in touch with the characters enough and I certainly did not care about them or what happened to them with the story that had gone on before which is the reason I chose to go back a book. If you are a fan of sagas then this is the book and series for you. 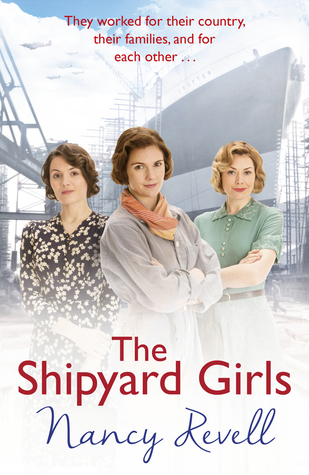 From the ending there will be definitely be a book three, as there is so much more to learn about these characters, about the shipyard and about how the Second World War affects the choices they make. 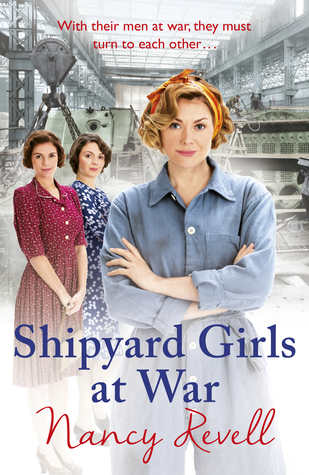 Both The Shipyard Girls and Shipyard Girls at War are out now.